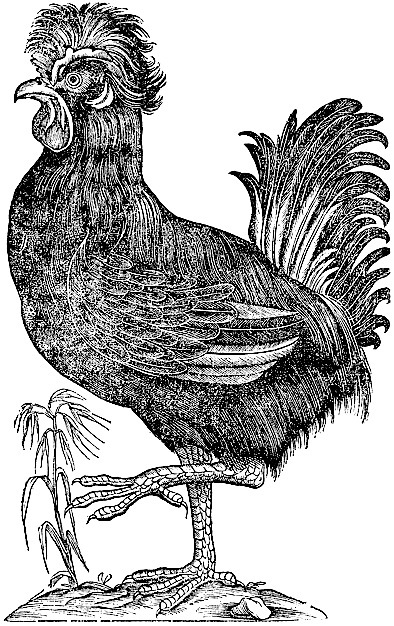 May is fast becoming a turning point for Raging Chicken Press. This month we’ve had more submissions than we can put out in any one “issue,” let alone finding the hours in the day to do all the editing and formatting necessary to push things out to you on our site. But it’s also pretty amazing. This month we’ve broken all of our reader numbers – most visits per-day, most visits per month, and the article with the most all-time reads. We also put out our first “Early Edition” as a way of publishing more of the great work you are submitting to us. And, frankly, we may still put out a “Late Edition” because we still have several excellent submissions that we know you’d love to read. All of this is making us rethink the way we publish. Frankly, I always saw Raging Chicken Press going to a weekly format down the road. But, in my mind, we were a way away from that. And here we are under a year since we published our first issue in July 2011, and we could easily go to a weekly format if we had the labor to do it. More on that soon. Yes, it’s quite an issue. 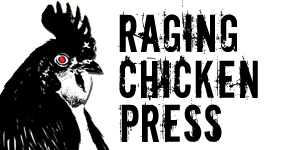 The biggest news – at least for us – is that Raging Chicken Press will be heading to Netroots Nation 2012 in Providence, RI from June 6-9! I’ve been wanting to go to Netroots since it began six years ago, but I always had a conflict with job duties in June. This year, however, I am free to go! Not only will I be going, but Raging Chicken Press Social Media Organizer, Sean Kitchen, will be going too. So, you can look forward to getting several on-the-ground reports from Netroots in just a couple of weeks. You can also follow us on Twitter (@RCPress and @RCPRess_Sean) over the course of the gathering. We’ll be using the #NN12 hashtag along with #RCPress for those of you who want to narrow your traffic. We’ll also have a Twitter feed on our main page that you can check out. We’ll also be active on our Facebook page, so tune in! Our trip to Netroots comes with an appeal to you (surprise). As you know, Raging Chicken Press is pretty much a volunteer operation and we do not have very deep pockets. 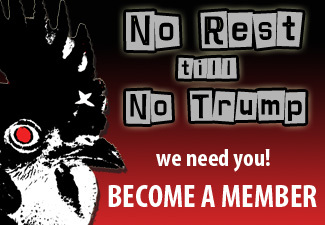 And, as you also know, we have been running a fundraising campaign since February, which has been helpful in covering some of our basic costs (server space, theme updating, printing, swag, and some limited software), but we have not raised enough to really expand our work in the way we would have liked. In the next couple of days I will be putting out a special “Send Raging Chicken to Netroots” appeal, but I thought I would put a plug in for it now (since you’re reading). To simplify things, we are going to use the same fundraising site. 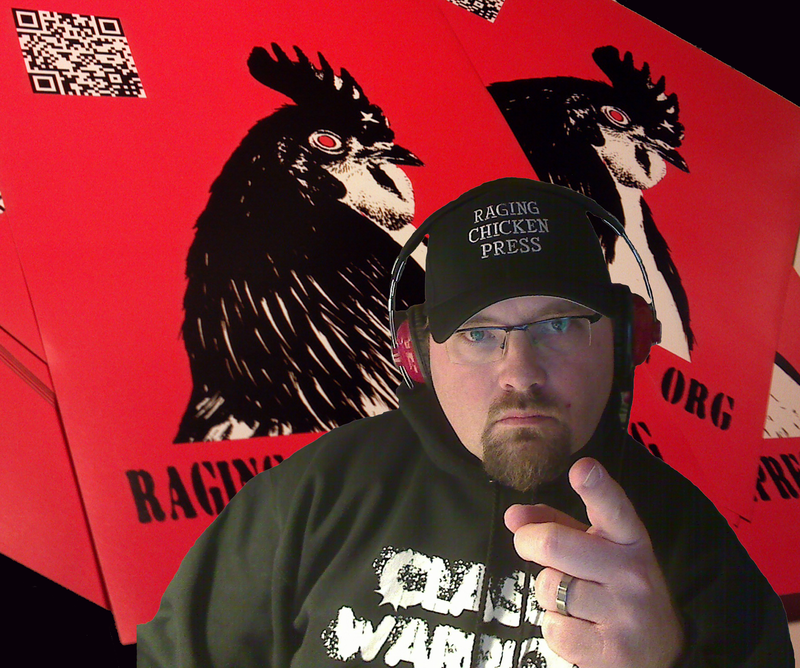 Right now, we’ve raised a total of $525.00 most of which is helping cover our basic costs of bringing Raging Chicken Press to you. Our trip to Netroots will set us back about $750-$1000. I know it’s a huge ask, but we’re going to try to raise as much as we can over the next two weeks. Can you help? For all of you progressive college students out there, you’re going to want to keep an eye out for new internship opportunities here at Raging Chicken Press. A huge thanks goes out to our first-ever intern, Drew Simonovich! Drew completed his internship a couple of weeks ago and I have to say he was great to work with. 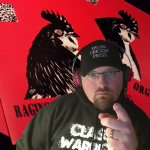 Drew did everything from the grunt work of helping transcribe Rick Smith Show interviews to writing and reporting to putting together a mock-up of a “Broadside” paper edition of Raging Chicken Press (coming soon!). Thanks, Drew, for all your work and dedication. If you’ve got the energy and need some college credit for all that progressive work you’re doing, why not do it with us? Keep checking back for further details. OK, that’s enough for now. I’m going to do my best to log a few solid hours of sleep for a change. Thanks for supporting progressive, activist media for PA and beyond!